Body Mass Index or BMI is a number calculated from a person’s height in inches or meters and weight in either pounds or kilograms, depending which measuring system you use. BMI can be an alternative for direct measures of body fat, and can be used as a screening tool to identify possible weight problems. However, please note that Body Mass Index is not a diagnostic tool. To determine if excess weight is a health risk, you would need to see a healthcare provider that would perform other assessments. 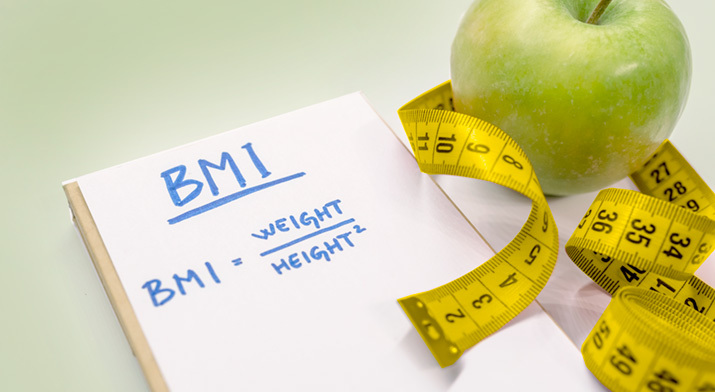 Your BMI acts as an indicator of overall body health by classifying your weight into a certain category of either underweight, healthy weight, overweight, or obese. This number will help in letting an individual know how their weight may lead to certain health problems. How Do You Figure Your Body Mass Index? First, you want to measure your height and weight, then plug the numbers into the formula below. How Does My Body Mass Index Compare To Others? A BMI of less than 18.5 indicates you are underweight for your height. A BMI of 30 or greater indicates obesity. If you are overweight and especially if you’re obese, consult a doctor about starting a weight loss program and exercise regimen. Then start an exercise program and start losing weight with the help of Time For Change Personal Training services. Body Mass Index does not account for muscle mass. For example, a short individual who has a large muscle mass would be considered obese. So use the BMI number as a guideline only, not an absolute. The main thing you want to look at with all of this is what category do you fall into? If you are underweight, you need to see a physician to find out what is going on that you are not gaining weight or might have an eating disorder. If you are in the overweight or obese category, you need to do something about your health. You‘ll be at risk for one or many of the unhealthy diseases listed above. It’s never too late, you can start at any time, and you just have to decide. Give it a try and see what your Body Mass Index is, you might be surprised. And remember, its just a tool to use to give you an idea of what category you might fit into. What are you waiting for? See how you might need to make a change in your health. For more info on how you could benefit from a personal trainer to improve your health, contact Tracy Rewerts, NASM CPT, and click on Time For Change Personal Training Services. It’s Time For Change – start today!